The battle between rally giants Lancia and Audi is one of the biggest in motorsport history. It was even highlighted in a special video featurette during Season 2 of The Grand Tour, in which Jeremy Clarkson had a look back of the historic battles, the epic struggle and the overall competitiveness between these two legendary icons in the world of rally. However, which of these two rally giants is the best when put through a series of challenges in Forza Horizon 3? 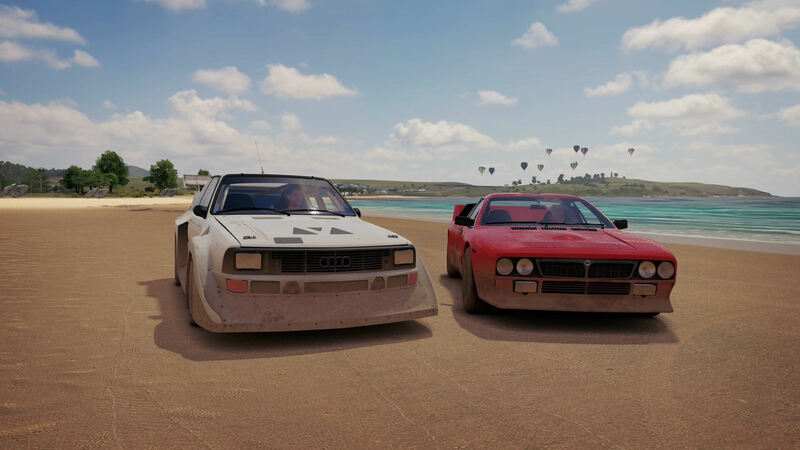 In his latest challenge video inspired by The Grand Tour, Tom Matthews and Iain of MineAndDrive find out by taking the Lancia 037 and Audi #2 Sport Quattro, respectively and putting them through their paces. The challenges include a drag race along the beach in Byron Bay, a large Danger Sign jump in the Outback, a Skill Chain and stunts challenge, and of course, a rally-inspired off-roading race finale. To find out who wins and which of the rally cars dominated, however, you’ll need to check out the above video for yourself. It’s full of surprising and amusing moments, including Iain’s car floating as he approaches the Danger Sign ahead of his jump. It’s quite hilarious to the say the least, and you certainly don’t want to miss it – so be sure to give it a watch! If you missed it, there’s also our classic Jaguar challenge from earlier in the month. Stay tuned for more Forza Horizon 3 challenges inspired by The Grand Tour in the future and feel free to let Tom know of your suggestions and ideas either in the comments of the video or over on his Twitter account. Looking ahead, Tom will have plenty of unmissable content on the upcoming Forza Horizon 4, especially since its set in his homeland of beautiful, historic Britain.